After getting rid of a dingy potty-spot made of dirt, mud and stones, one Ohio dog was much happier. 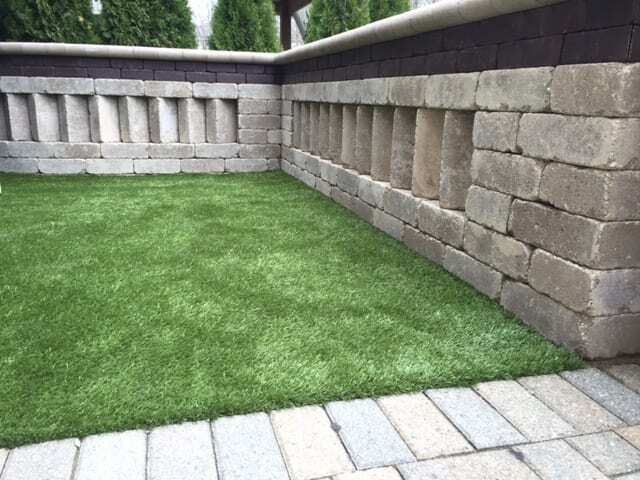 K9Grass Lite was the perfect solution for Fluffy’s backyard. The 400 square foot space received K9Grass, giving Fluffy and her owner a fresh, clean, safe and attractive yard to enjoy. This Ohio dog owner craved a solution for her dog’s potty area that would keep the space fresh, clean, safe, and attractive. She reached out to us at ForeverLawn of Ohio to help her with the project. Our knowledgable professionals selected K9Grass Lite, a lighter, less dense version of K9Grass Classic. 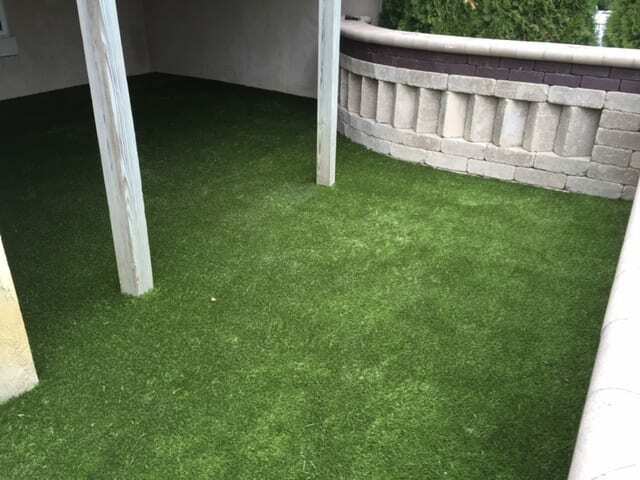 This artificial turf is specifically made for dogs and features a flow-through backing that efficiently drains liquids out of the turf for a cleaner environment. Now Fluffy is free to run around and do her business on this soft and natural-looking turf rather than trekking trough mud and stones. Not only is Fluffy much happier with the space, but so is her owner! The project required just 400 square feet of K9Grass Lite, and was completed by our team in one single day.